mimosas, perfect combination of breakfast/lunch meal selections, and meeting with friends/associates. It is also the perfect opportunity to dress up and who doesn’t love that? 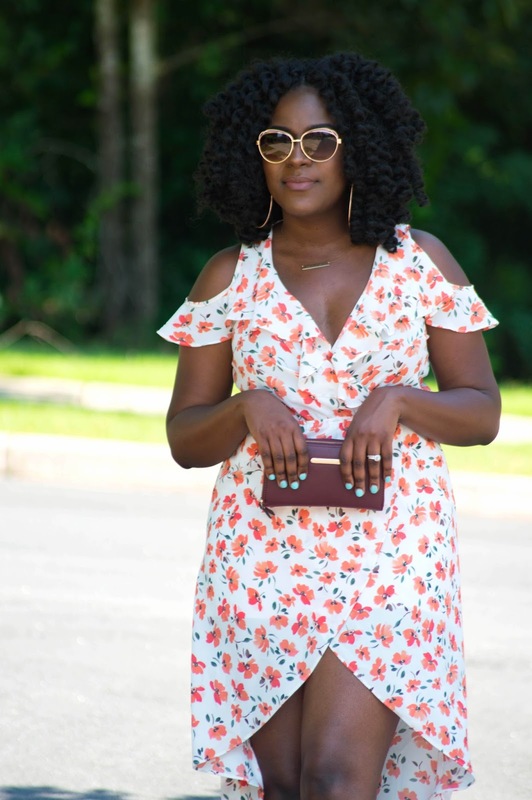 I’ve noticed that the summer time is typically when the most brunch events are taking place so it can be overwhelming to choose which looks would be best for the occasion. 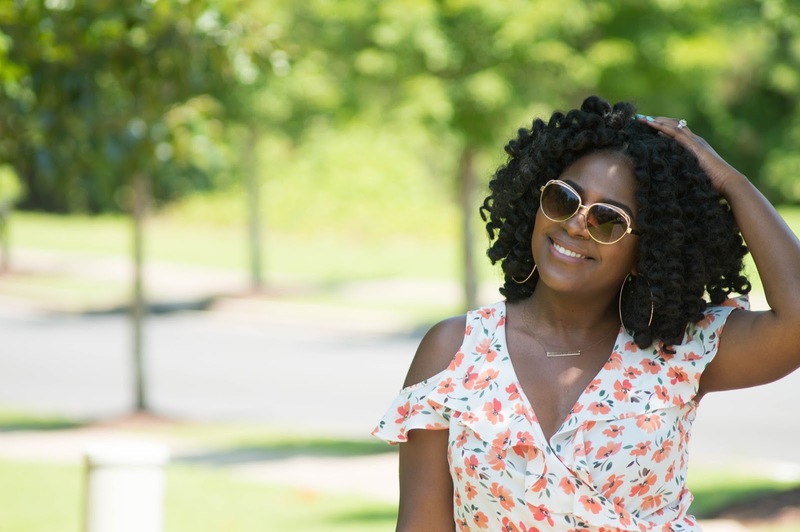 I put together this outfit, which is very perfect for brunch, because it easy to wear since due to the breathable fabric. In all honesty, after scanning my closet I realized that my supply of dresses was pretty low. 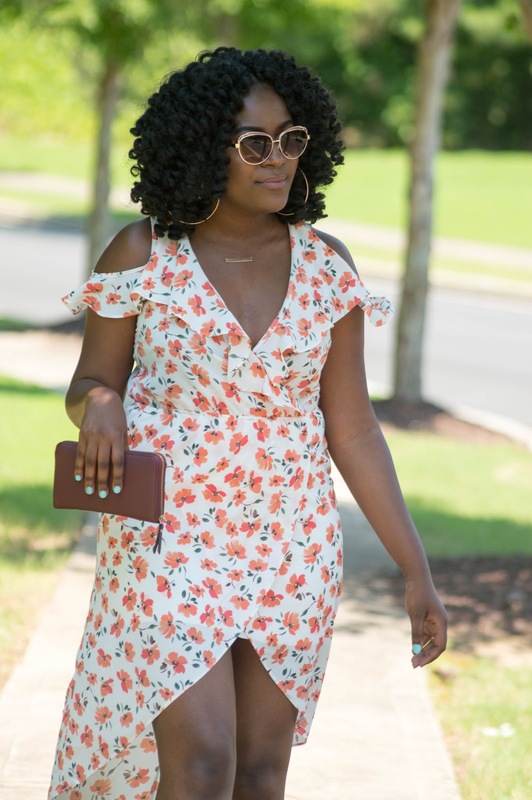 The summer is also the best time to incorporate fun florals and frills into your wardrobe, so when I seen this dress at Charlotte Russe (and on sale I might add) I knew I had to scoop it up! 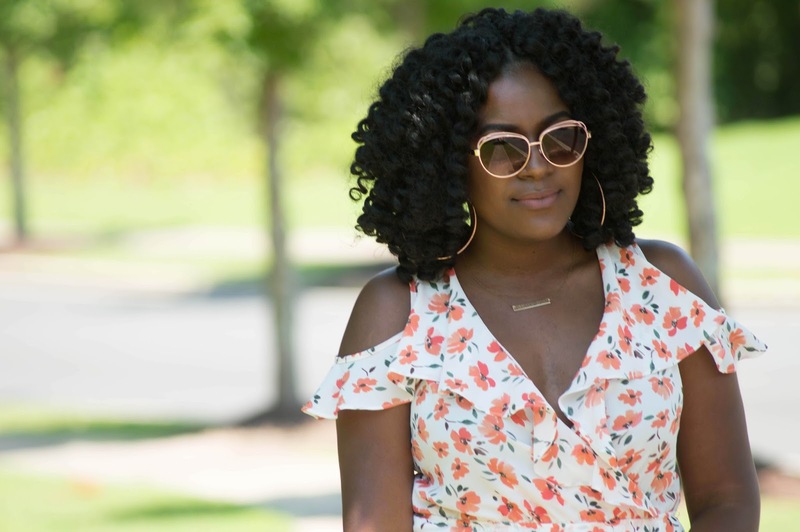 When it comes to dressing for the summer and brunch specifically, I would recommend opting for light colored fabrics and pieces. 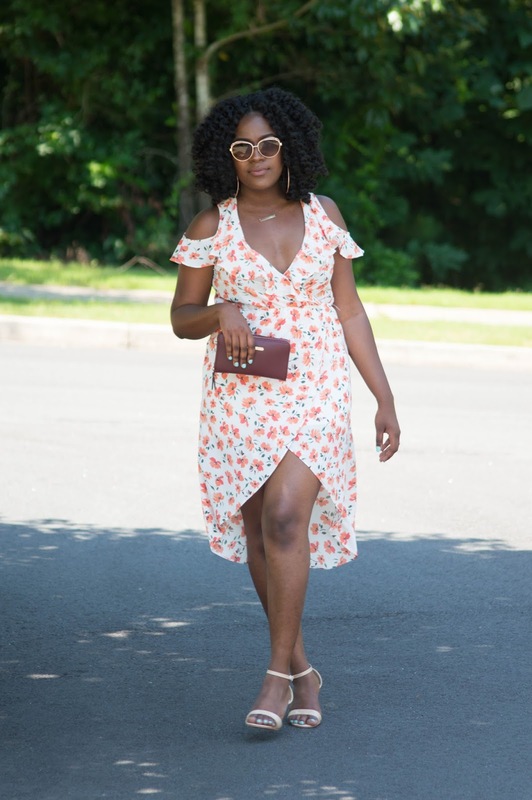 It is also perfect to show a little leg and/or shoulder so you won’t bake away in the heat. 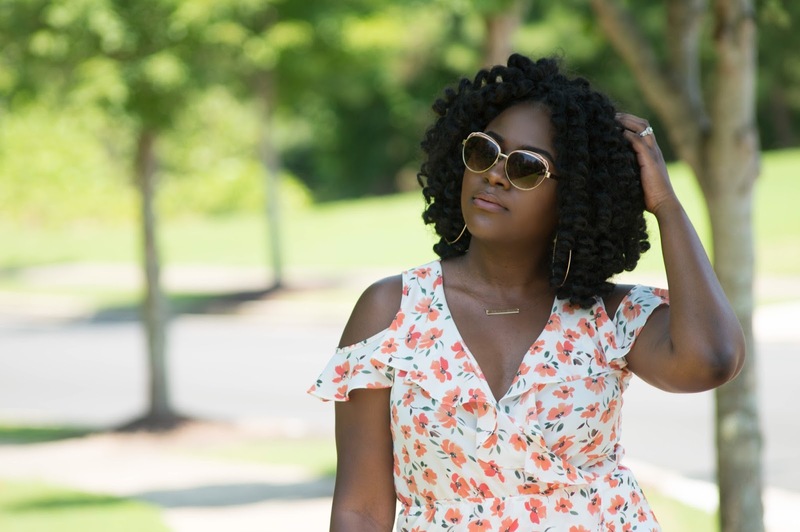 I hope this look inspires any of my fellow brunch loving babes and would love to know what are your go to looks for the summer time?